Make sure your fire detection, protection and extinguishing systems function properly before or when fire breaks out. Our experts provide comprehensive structural and technical fire protection solutions, assisting you in the planning, development, maintenance and documentation of a functional and reliable fire protection plan. When seconds count, early detection, warning and extinguishing systems must work in unison to facilitate safe evacuation, minimize damage and reduce liability. Put the fire out! Make an appointment today! Let us provide you optimal fire protection to ensure the safety of personnel working in and others visiting your building while protecting material assets. 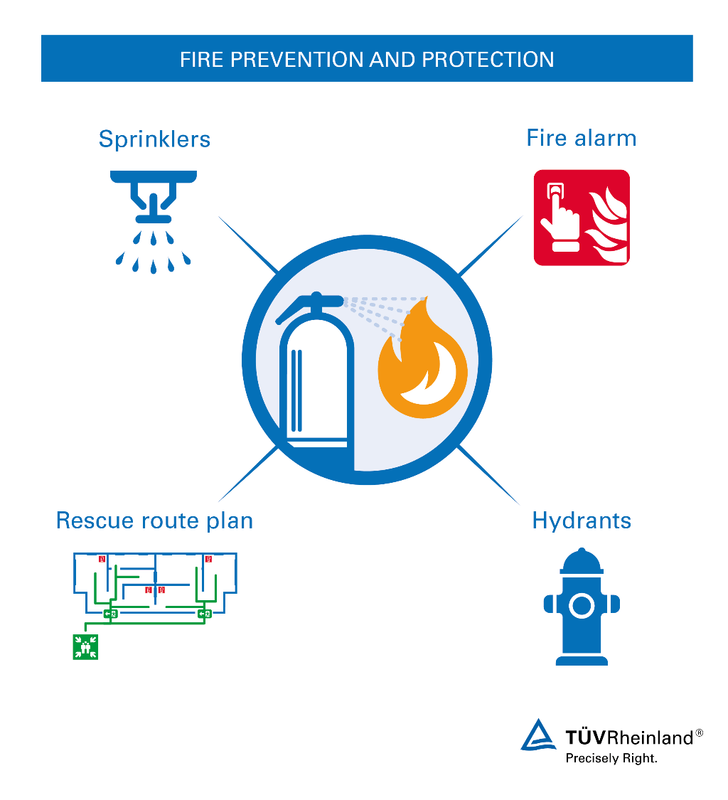 As your partner in all matters related to fire protection, the TÜV Rheinland experts can help you prove due diligence to protect you in the event of litigation resulting from loss or damage and provide you the facts to support your case when filing an insurance claim. Avoid planning errors and ensure smooth operation, qualify your operators and save time with expert execution of regulatory approval procedures. Ensure optimal fire prevention and protection in your building. We offer comprehensive support for complete fire protection, testing and inspecting detection and alarm as well as sprinkler and hydrant systems. We review documents, perform a risk assessment and conduct on-site inventories of installed components, real usage and general conditions. Based on measurements taken, we determine potential improvement strategies and make any necessary changes to comply with regulatory standards. Depending on mandatory initial fire safety risk assessment results, we conduct prescribed testing of gas and fire extinguishing systems at regular intervals to help you achieve optimal fire protection. In buildings and public areas, fire protection is subject to the special requirements laid out in state construction legislation. 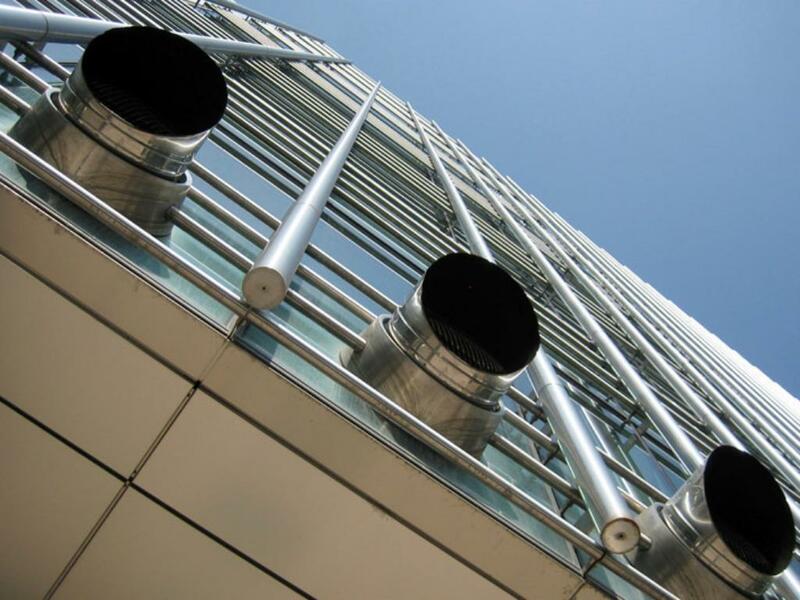 Our recognized experts verify the functionality and operational reliability of equipment and building services specific to fire protection systems. Coverage provided by a property insurance policy is contingent to specific, individual requirements. We make certain that you fulfill your responsibilities. 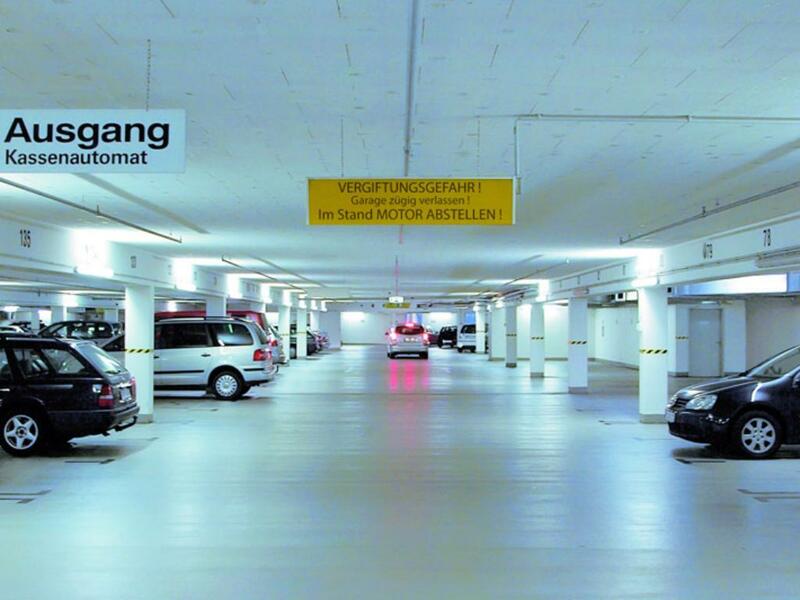 Our experienced TÜV Rheinland experts offer complete solutions for both structural and technical fire protection, right from the initial planning stages. We develop concepts as well as escape and rescue routes and provide support for your documentation purposes. Our specialists conduct risk assessments and guide you through the regulatory approval process. We support you with our many years of industrial and customer service experience, high quality standards and professional objectivity. On top of that, we provide you access to our one-stop-shop service and nationwide support with no regional restrictions. 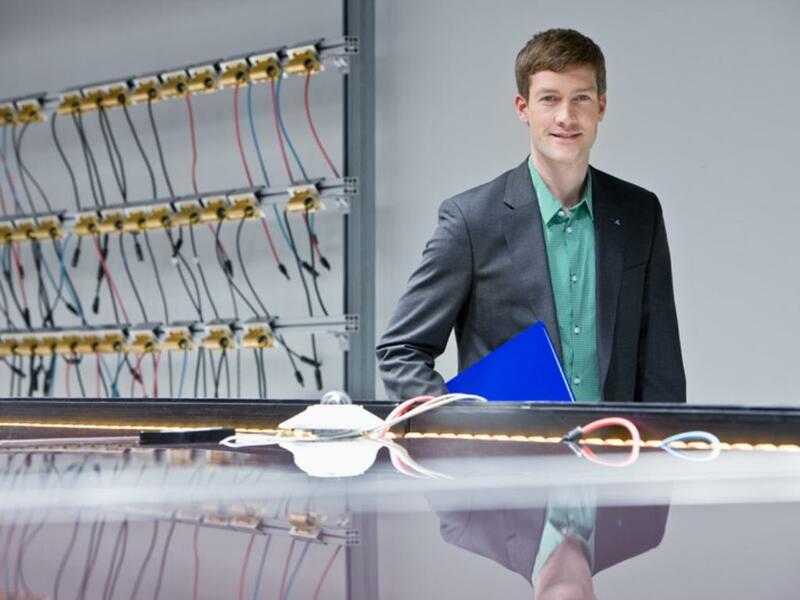 Strengthen your inspection management with our internet-based EquipmentOnline service. 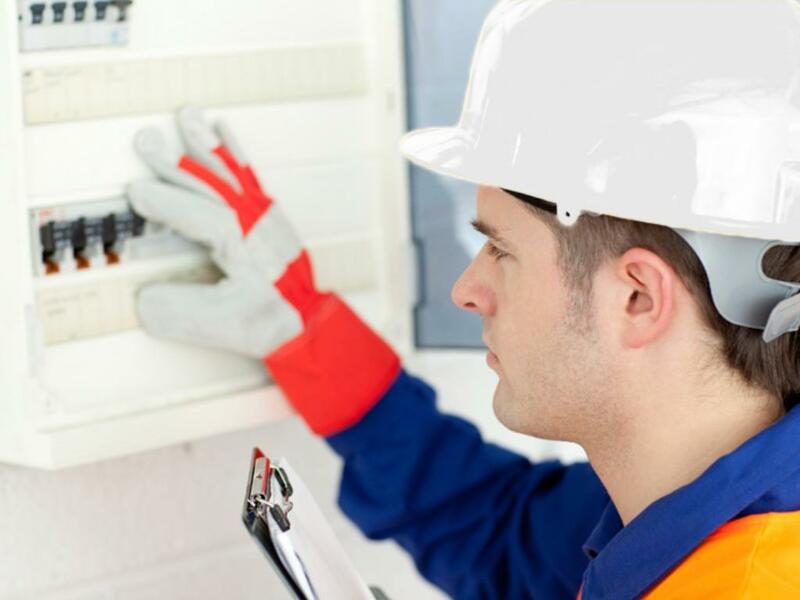 A leading provider of testing inspection, assessment and verification services for fire detection, alarm, extinguishing and protection, we take a comprehensive approach to all systems and installations integrated throughout each individual building. Call a service representative now!